Create Center on a date or Center on a date property contact-based workflows to center your workflow actions on a calendar date or contact date property. This allows you to schedule and execute workflow actions relative to a specific date. Please note: this article walks through creating Center on a date or Center on a date property contact-based workflows. Learn how to create standard, or Start from scratch contact-based workflows. In the left panel, select Contact-based as your workflow type. In the right panel, under Choose type, select Center on a date or Center on a date property. Learn more about contact-based workflow types. If you select Center on a date, click the Date of event dropdown menu and select the date the workflow actions will revolve around. If you select Center on a date property, click the Contact date property dropdown menu and select the contact date property the workflow actions will revolve around. If you want the workflow actions to recur annually based on the date or date property, click the This workflow is centered on the date/property box. 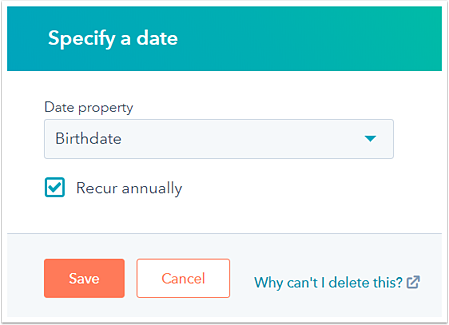 In the right panel, select the Recur annually checkbox. This will cause the workflow to ignore the year in the selected date or contact date property. 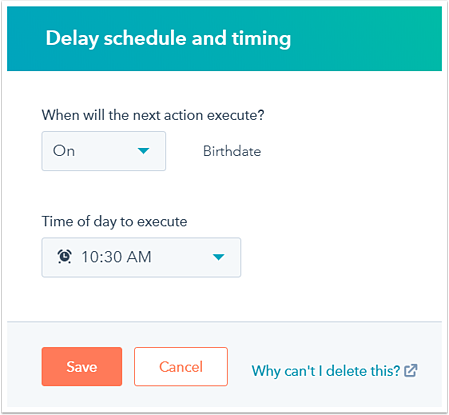 For example, this can be used to execute workflow actions for a contact based on their renewal date or birthday every year. Please note: the default contact property Date of birth is linked to the ads tool and has a single-line text field type which cannot be modified. To create a workflow centered around a contact's birthday, create a custom contact property (e.g., Birthdate) with a Date picker field type. 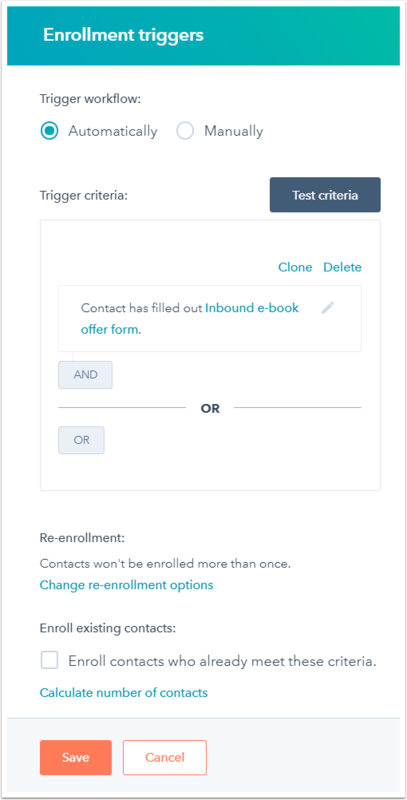 By default, contacts will only be enrolled in a workflow the first time they meet the enrollment triggers. To enable re-enrollment, click Change re-enrollment options. 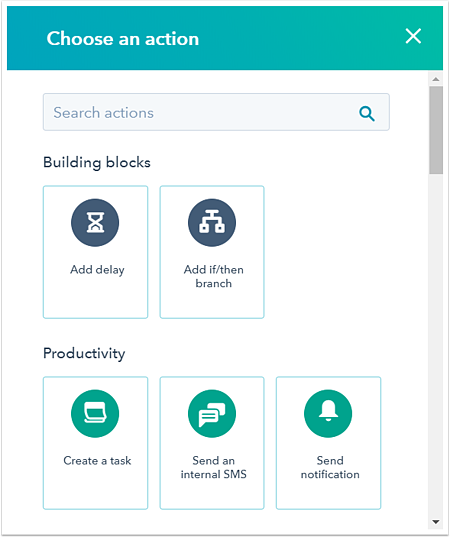 Learn more about adding re-enrollment triggers to workflows. Any actions in the workflow are relative to the selected date or contact date property value. To set date and time the next action will execute, click the Do the next action on... box. In the right panel, click the When will the next action execute? dropdown menu and select a date or if the action will execute before, on, or after the contact date property. Click the Time of day to execute dropdown menu and select a time. Please note: the Do the next action on... delay cannot be deleted as it is used to schedule the first workflow action based on the selected date or date property.